Turkeys can see you coming from a long, long distance away, they also have incredibly sharp hearing, combine this with their natural instincts to be a bit cautious and you have a very formidable adversary. I have heard many hunters claim that if the wild turkey had the sense of smell of a deer, nobody would ever harvest one. Having said this, turkey hunting is one of the most enjoyable challenges, and is actually fairly simple if you merely understand how a turkey thinks or acts, and why. 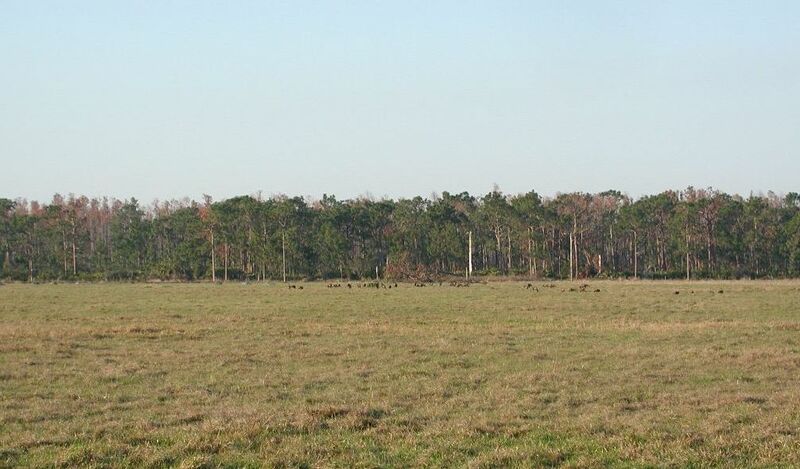 It seems like whenever you are driving along a country road looking into the fields and pastures there is never a shortage of wild turkeys mulling about, picking up pieces of grain and insects, yet walk around in the woods with your shotgun, and you would think that you are hunting on the moon. 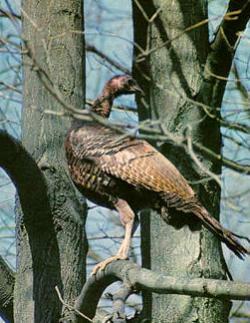 In order to successfully harvest the elusive wild turkey you must first locate potential wild turkey habitat. I have on many occasions merely driven around in the early evening with my binoculars, and began by glassing various areas, or spent an hour or so on the edge of a forest just listening for the unmistakable sound of Wild Turkeys flying up to roost, or the tell tale gobble of a bird responding to an owl or some other locator call. This practice is called “Roosting” a bird or “putting a bird to bed”. If you see a gobbler feeding in a field or parading around in the late afternoon and evening hours before your intended Wild Turkey hunt, you have a great indication that the bird will be somewhere in that general vicinity come first light, as these birds tend to feed in the evening near where they will be roosting. After roosting a bird the night before, you will need to return to this general area before dawn (this means in the dark!) and situate yourself, well hidden at the base of a tree or other type of blind. 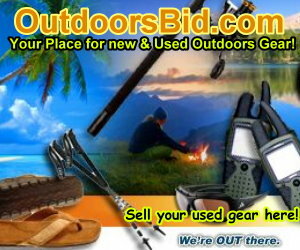 Hopefully, the previous night you have already marked the location you wish to hunt and set up a bit of a blind. It is imperative to make no noise when returning in the dark, so marking a trail you can find is a good idea. If using decoys, it is also important to move slowly and silently so as not to give away your location. Pace off the number of yards, to your decoys to give a good indication of incoming birds and your comfortable shooting range, you may also place a stick in the ground a bit further out so you know your maximum distance as well. If you chose the right location these birds could fly down right in front of you, as Wild Turkeys prefer to fly down into open areas, making it a very short, but rewarding morning. If you have not heard the birds as darkness gives way to dawn, you might attempt to simulate a few tree yelps in the hope that a gobbler will reply, thus giving away his location. If you are not proficient with calling, “don’t”, as many novices tend to overcall or call badly, which can push birds further away. It’s also important to remember that gobblers are hesitant to walk downhill to calls, so you want to try and be either slightly uphill of the birds or on level ground. 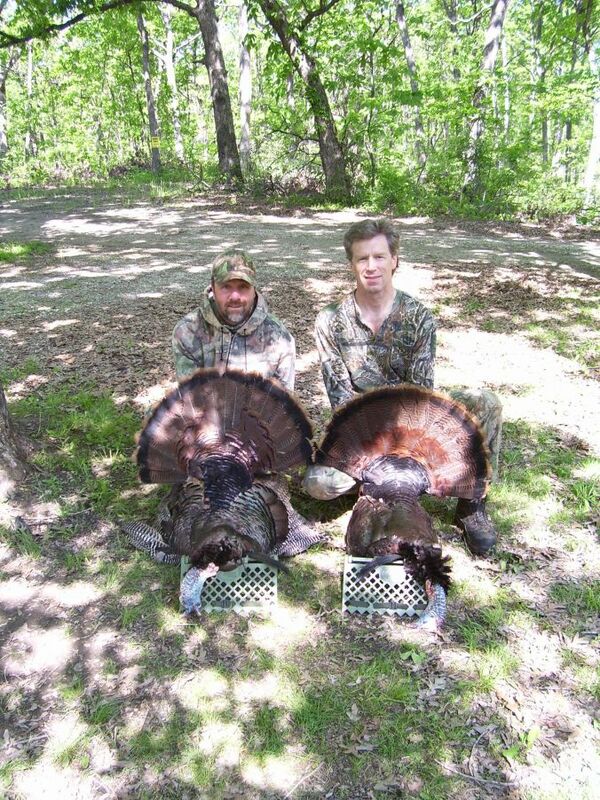 I was once hunting in Coulee country in Southern Wisconsin for spring Turkey and had snuck in about 30 yards above a strutting gobbler and had several Jakes walk in from my side to within several yards before I even noticed them. If you had no luck on the morning fly down you can try to identify a gobbler’s strutting zones as they tend to prefer the same areas again and again to display for the hens. Don’t get too impatient if a gobbler responds to your calls but refuses to move in closer. Just remind him with subtle calls every now and then that you, or in better words…a hen is still in the area. If the early morning hours are not productive, at some point it may be time to try other strategies and get on the move to locate the birds. 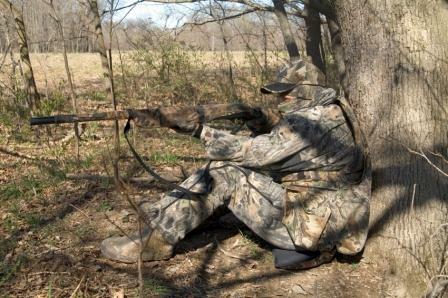 This technique is known as the run and gun method, and may work with seasoned turkey hunters and older birds. Moving to new areas and trying to locate birds, then employing a sit, wait and call method can sometimes lure in some Jakes and younger Toms. Either way, enjoying the great outdoors in pursuit of the Wild Turkey is an excellent way to spend a beautiful spring morning. Does anyone know how to actually tell the difference between a Eastern Wild Turkey and the Osceola Turkey found in Florida? Osceolas are a bit smaller and have longer legs. They are also much more wary. One of my closest friends is an expert Turkey Hunter, and I have learned from him that, with the absence of sounds, he will move around quite a bit, sitting quietly and offering some subdued calls, of course if birds are sighted he will actively stalk them. It is also important to understand The Wild Turkey’s daily pattern and where he wants to go and then return to, and then position yourself in an ambush situation. If he is feeding in a field, where will he eventually want to go to roost?